It’s May, and we’re beginning the month by talking with Dr. Vukosi Marivate. 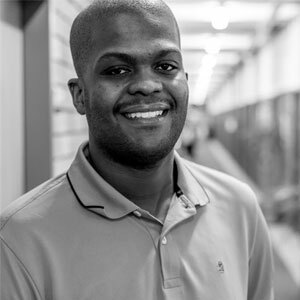 Dr. Marivate is a data scientist at the Council for Scientific and Industrial Research (CSIR) in South Africa. His work primarily deals with machine learning, so I had to ask one question — how do machines learn? From there, Dr. Marivate walked me through a typical day, answered some great questions from our Slack community, and shared what people who are interested in data science should learn. We also talked about his early days growing up in South Africa and going to college there, as well as his time here in the United States at Rutgers studying for his Ph.D. Dr. Marivate shared a lot of really great advice that he’s used to help him succeed, and I’m glad to get the opportunity to have him share it with you all!